The cottages featured here are newly available from that expert in self-catering holiday, "Hoseasons". There are cottages available in Lincolnshire, Norfolk, Northumberland, Suffolk, Devon, Kent, Gwynedd, Powys and Derbyshire. Look below to see the full list of the latest cottages from Hoseasons; I have two cottages to bring to your attention: "Post Box Cottage", "Beyond the Beach". 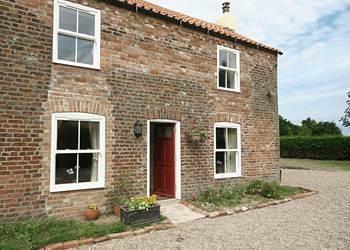 The first holiday cottage is Post Box Cottage in Croft, near Skegness. This holiday cottage is just a few miles from that vast seaside resort of Skegness. Sleeping 6 people, Post Box Cottage is also pet friendly. Or how about Beyond the Beach in Sea Palling, Norfolk? 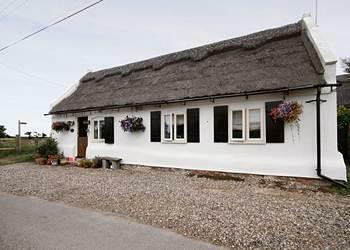 I particularly like this cottage, for many reasons... first up it's a thatched cottage, so gives you the look you'd expect from a holiday cottage. Beyond the Beach is also within a short walk of the beach. There's a wood burning stove for the winter months. And, get this, Beyond the Beach has its own swimming pool for the summer months. For the very latest in holiday cottages from Hoseasons, have a look at our Hoseasons cottages which have recently been added page.